It is make-or-break time for both Tesla and its detractors, as an historical first half of 2018 comes to a wrap in the next few days. A Tesla news overload through the past year has resulted in a wild and passionate debate over the future of the company that is changing the global car industry for good. Perhaps most resounding of all is the “cash burn” mantra that many media outlets, such as Bloomberg, as well as Wall Street people, have kept spreading on the web, TV and newspapers as Elon Musk pushes through Model 3’s production hell. All of this noise and doubts should now come to an end as forecasts get replaced by real numbers at the end of the second quarter. What to expect? Bloomberg’s picturesque if superficial portrayal of how Tesla invests its money. A flurry of updates are anticipated, whether in the official Tesla Q2 reports to investors or through a highly likely series of Twitterstorms by Elon Musk (short sellers are forewarned). Let’s not forget that separate important announcements from Tesla should not be ruled out in the weeks to come, leading to a Q2 earnings call in early August that promises fireworks. All of these will stem from the unprecedented amount of capital that Tesla has increasingly invested (or burnt, according to some) in order to thrust itself to mass market production of electric cars. 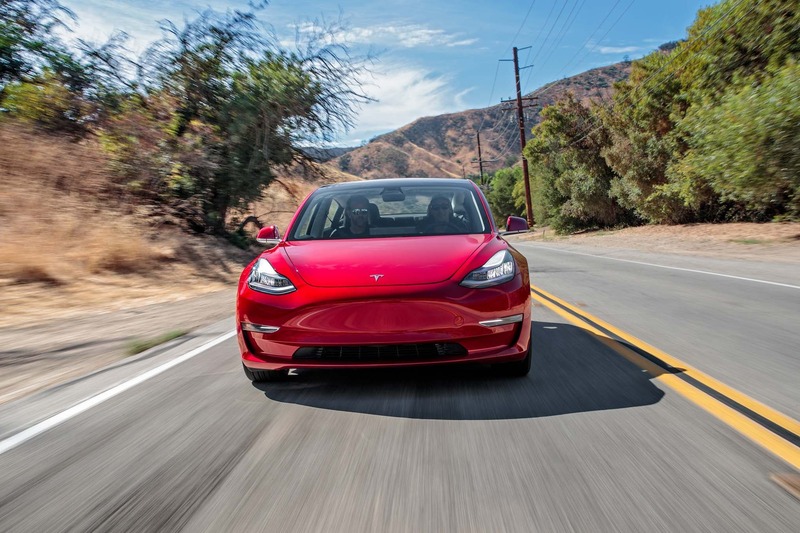 Vehicles production will undoubtedly be making headlines first, as everyone’s obsession with Model 3 production ramp numbers is bound to find some relief in real figures. No more shaky forecasts or wild guesses. All of this was made significant as Tesla repeatedly missed its own forecasts since last Summer, delaying a half-target of 5,000 Model 3 weekly units by 6 months to end of June. In a previous article, I anticipated Q2 production between low and high scenarios, which would result in anything between 25,000–38,000 units produced from April to June. The cumulative production is important as weekly numbers have so far been a very unreliable metric (check out Bloomberg’s Model 3 tracker for more confusion). It seems likely that some 26,000 units will have been produced by 30th of June, for a weekly average of 2,000 units. If confirmed, it’s good news, as it would clear uncertainties on the ramp progress. If not reached, it may cast new doubts. Any higher numbers will inevitably look very positive, and a late June sustained production spike could very well be the most meaningful piece of news. With the new tent assembly line at Fremont now operational, weekly rate updates are also paramount for the overall sentiment. Therefore, we can expect a focus on June weekly data, as well as anticipated production numbers for July and longer term. These figures will set the media on fire. So how about Model S and X instead? While Model 3 has hijacked the news, the flagship models should not be disregarded, as Tesla’s expansion is also dependent on their continuing success. Many Tesla bears will look into these models to find possible weakness. Next in the agenda is cash flow. Bloomberg’s famous chart above highlights what many see as a very bearish indicator for Tesla, now allegedly left with a thin lifeline before going back to markets begging for more cash. One could well note that this in fact an indication of the opposite, with the company pushing for the final breakthrough following a 10-year race to electric dominance, which inevitably requires hefty investments before profitability. Q2 earnings won’t be known until later in August, but it seems probable that Elon Musk will compound any good news with financial background to suit via Twitter, perhaps hinting again at Q3 and Q4 forecasts that are sure to thrill Tesla shorts. Profitability is the word, and if the second quarter may well result in yet another period of deep red (possibly the worst), Musk has now repeatedly promised a shift as soon as next quarters, backed by recent news of layoffs and restructuring. Possible details on Model 3 break-even levels could also send shockwaves in the markets, as Elon Musk is clearly intent in proving shorts wrong with recent warnings of a “next level short burn of the century”. Should Elon Musk for once be timely and over-deliver on the above, then his Boring Company flamethrowers will come in handy. Is that it then? Not even close, more news could come from many sides. Progress on Tesla Energy could turn out to be unexpectedly interesting, same with news on battery costs, which are being slashed to a level that Tesla competitors are unable to match. To add more fuel to the fire, an update on new plants in Europe and China is imminent, as well as on the Supercharger infrastructure. Oh, and what is that new expansion lot at the Nevada Gigafactory 1? Or, how about a technological breakthrough to widen the gap with competitors and increase Tesla’s edge in the EV and energy market. We also have to hear about the Semi, the new Roadster, the Model Y, and who knows what more, all of which could lead Tesla to exponential growth if well directed by Musk and his core team. After all, mountains of cash have been “burnt” and we shall soon see if they’ve actually turned to ash or maybe something more substantial. Meanwhile, we could very well be surprised with announcements on joint ventures or new investors joining Tesla’s battle for sustainability with further ideas and capital. Either way, history is in the making for Tesla, for the future of the car industry and for many — so many — stock market speculators. Show starts next week. Stay tuned.